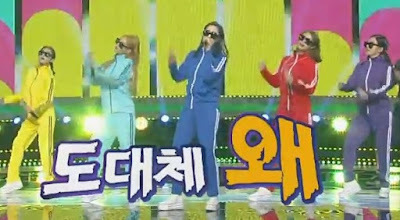 The Chuseok festivities continues, and here are the girls of T-ara who graced KBS' 'Nationwide Idol Singing Contest'. Check out their cuts and below and watch them cover Lim Chang Jung's 'Open the Door'. That was really an awesome performance and that gave them the first place. Congratulations T-ara! Hyomin had a different schedule when they recorded this so she wasn't here.